Turns out the pilgrims didn't have any pumpkin pie, but they did have venison and passenger pigeon. 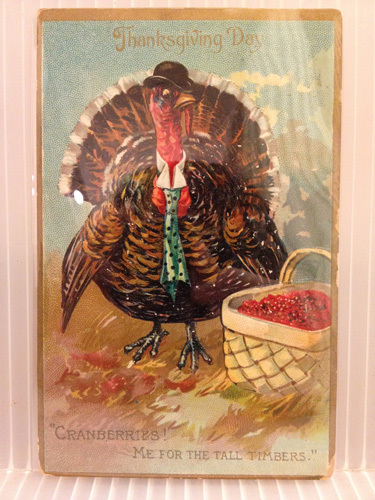 We all learned the Native Americans celebrated Thanksgiving with pilgrims in New England in the 1600s, but this year marks the 150th anniversary of Thanksgiving becoming a national holiday. In 1863, right in the midst of the Civil War, Abraham Lincoln proclaimed that the last Thursday of November would be a day to celebrate “the blessings of fruitful fields and healthful skies,” as well as the soldiers and their families. But soon enough, turkey established its place at the table. 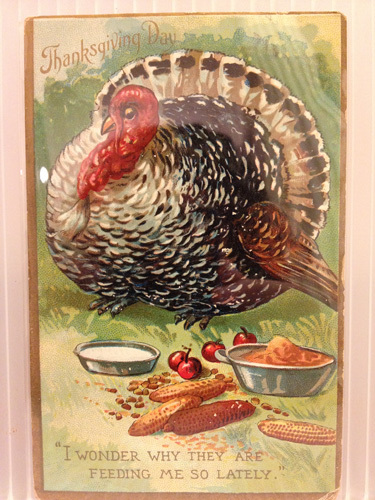 As you can see from these postcards from the New-York Historical Society’s Print Collection, it was certainly the centerpiece by the 1940s, and the imagery places an emphasis fattening the turkeys up for consumption. What, you expected middle class Americans to eat skinny, wild fowl? 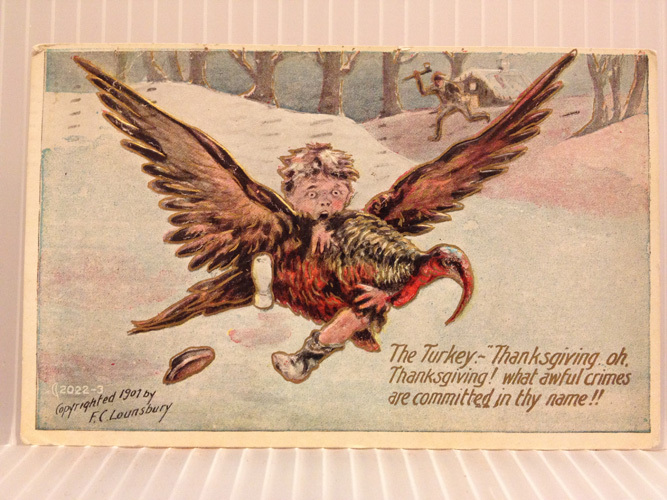 What did our forefathers suffer for if not to let us feed our turkeys cornbread, as one of these postcards suggests?